Medical school, and even just school in general from high school and upwards can be a blur of books. Just plenty of books with way more words than pictures and depending on what you’re studying, it can be hard to read and retain. And even if you are very interested in what you are trying to learn from the book, trying to read a textbook can become SO boring. And that’s never good because that leaves room for excuses to form and procrastination to sneak in. You might be on a time restraint with a lot of reading to do, and that doesn’t help if the book is very wordy. But have no fear. There is a way to get through this. 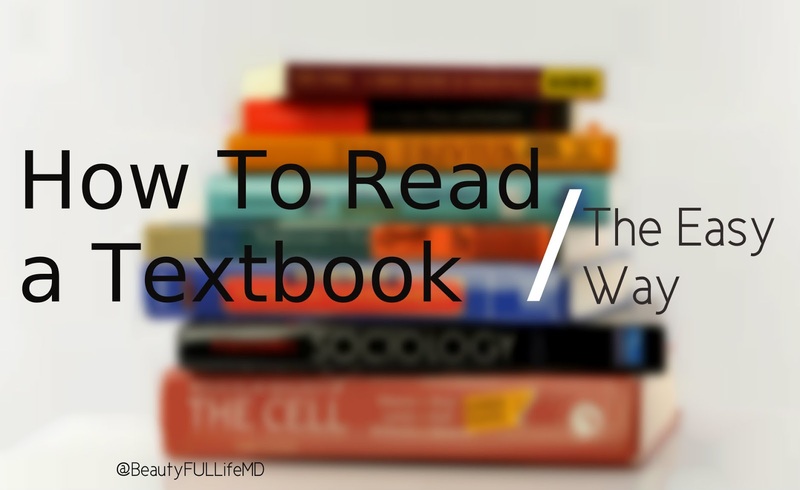 Yes, there are actually multiple ways to get through this because there are actually ways to read textbooks. Methods. Tips. Here are a few of them for you! Start at the end. So you have a few chapters to read through. But the chapters are super long in this book, and there’s no way it can all be relevant for your exam or test. The good thing about a lot of textbooks is that they have a chapter summary at the end of the chapter. These are the really important parts of the chapter and the big picture snapshot of what you should have learned if you read the chapter already. Read that first, and then flip back to the beginning and read through the chapter. Textbooks are usually extremely thorough, more detailed than you probably need on your test. You’ll find your focus is trained more on what you already saw in the chapter summary, which usually turns out to be the most important stuff. You will save time by skimming over the extra fluffy stuff, and getting to the things that matter the most. You’ll be done before you know it. Yeah. Do your best. I know it can be hard. Read actively. This is kind of hard to do on a consistent basis (at least for me). But with practice, it can become second nature. I don’t know about you, but I know I can read mindlessly. That is, read a whole section in my head and immediately after, I could have no idea what I just read. You know what I mean? That wastes so much time and effort, and drains you. Think about what you’re reading as you’re reading it, and understand it. 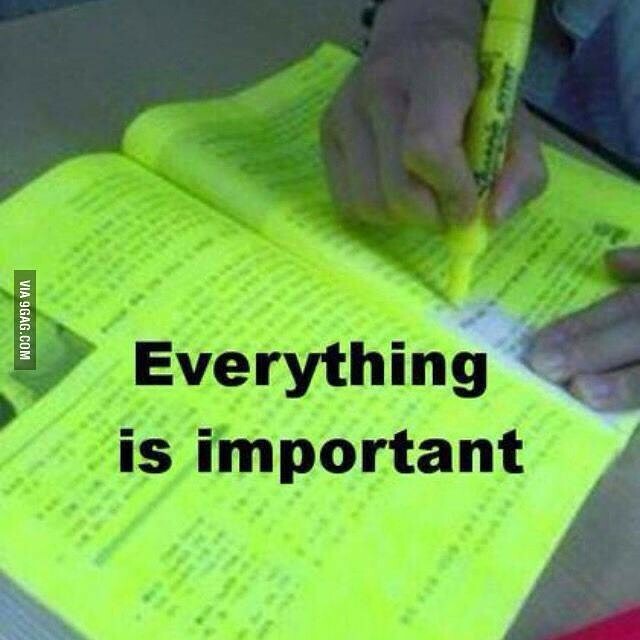 Do some highlighting and really roll around the important stuff in your head. Write in the book. As a neat freak, I have a serious aversion to writing in books. I never did that until I got to medical school, and I still don’t do it in my nice textbooks. BUT. I’ve heard from friends that it really helps with studying, and although I still generally avoid it, they are right, it helps. Write little questions to help you think better, do some paraphrasing and make your notes on the text itself. If the book isn’t yours, rented or borrowed, you can still write on sticky notes! Try to answer your own questions as you’re reviewing. Read aloud. This is in line with active reading. Hearing it can help you understand more clearly and easily than just reading in your head where it can get jumbled up with other thoughts. Divide in chunks and take breaks. Breaking things into easier to deal with sections can make the task a little easier to swallow. Breaks in reading help you to process and retain the information much better than volume reading a million pages at once. Give your brain a break. It will thank you by being more efficient!